When we consider ferns in middle Tennessee they fall into two basic categories, perennial and potted. (This is my own classification. Don’t expect to see ferns divided this way in catalogs.) Perennial ferns may be placed in the ground in a shady location or woodland garden. If tended, or sometimes just plain ignored, these can be enjoyed for many years. 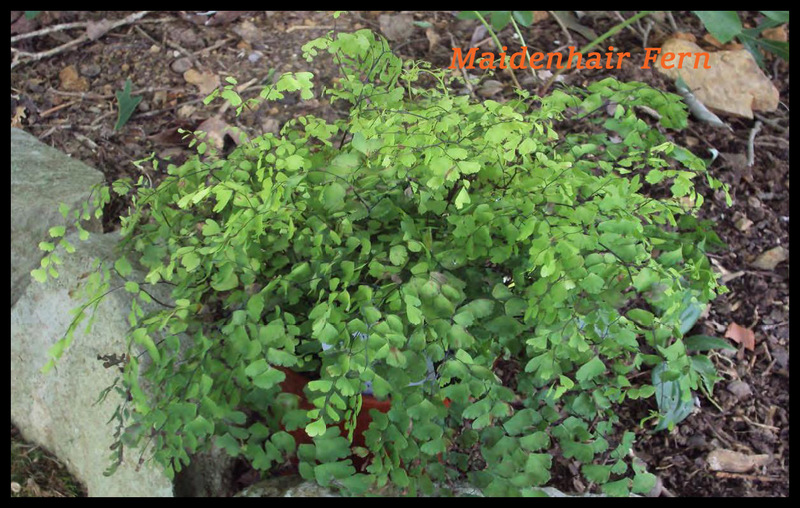 Painted, Autumn, Maiden Hair and Woodland ferns may be used in the shady perennial garden. throughout our mid-state area. Christmas Fern, native to our state gets its name because it is not only perennial but for the most part evergreen. It is still green at Christmas and can be used in holiday decorations. 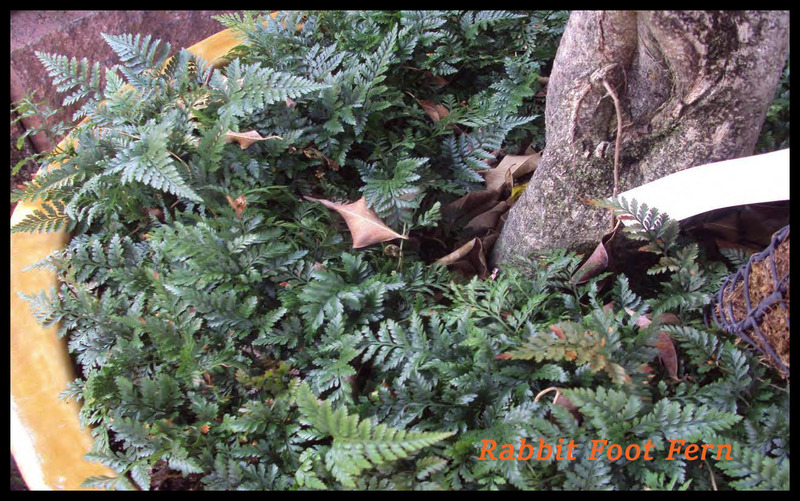 Wooded land in our area usually has Christmas fern included on the woodland floor. If you decide to harvest ferns from the woods be considerate. A good rule of thumb is if you are taking something from the woods make sure that from the same spot you see three other samples of the same item. The second category of fern is what I call potted. Exotic ferns is probably a more exact name. These are ferns which will not make it through the winter in our area. 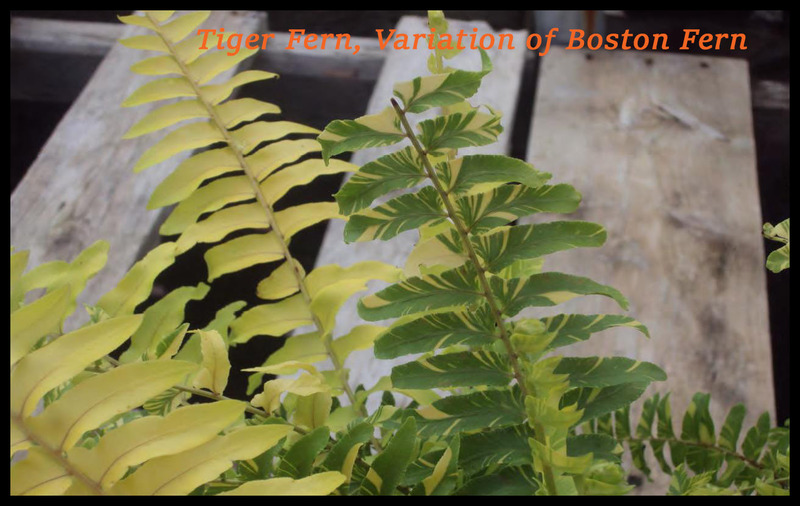 Boston ferns are a great example of this type. 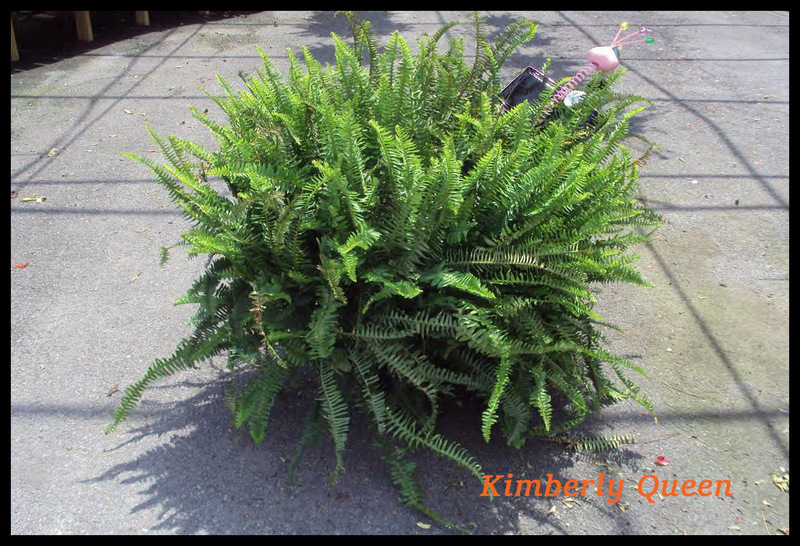 Kimberly Queen, Macho Fern and Rabbits Foot Fern are others which will not live year round outside in our zone. Yet, what front porch is complete without them. Most Southern gardeners have a place for potted ferns. Ferns are as much expected in the South as porch rockers and iced tea. Shade, water and Tennessee’s summer humidity work well for most ferns. Trouble develops when we try to move them inside for the winter. Don’t do it. Our houses are too hot and too dry. I think of potted ferns in the same light as mums and poinsettias. They should be enjoyed for a season and then dropped in the compost heap. I am, basically, a lazy gardener– rather a lazy person who enjoys easy gardening. I cannot imagine trying to over-winter ferns or guess what they would look like when spring returns. 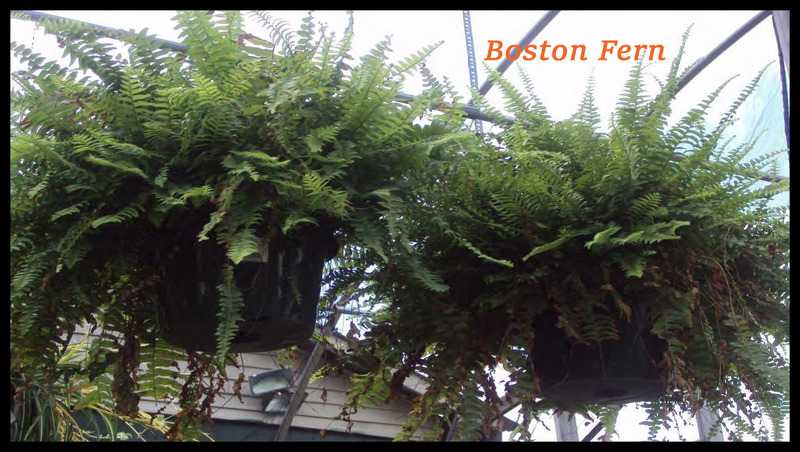 Even if one attempted to keep potted ferns from season to season, they would be so dried up that it would take all of spring to coax them into any shape to hang on the porch. Life is too short and ferns are too cheap. Buy new ones. Following are some examples of both perennial and potted ferns. Thanks to The Plant Ranch for allowing photographs to be made there. Categories: Uncategorized | Tags: Bernie Harris, boston, ferns, perennial, potted | Permalink.